Richmond was our base for a couple of nights, a trip to Hampton Court and a boat ride down the Thames were on the agenda so this seemed like a good place to stay. 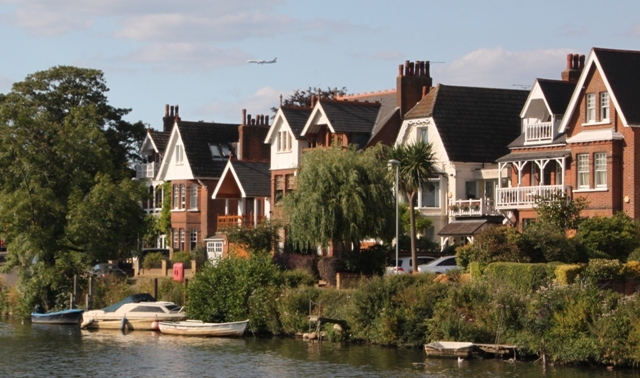 Utterly gorgeous I thought – dare I say this might be one of London’s most beautiful boroughs. 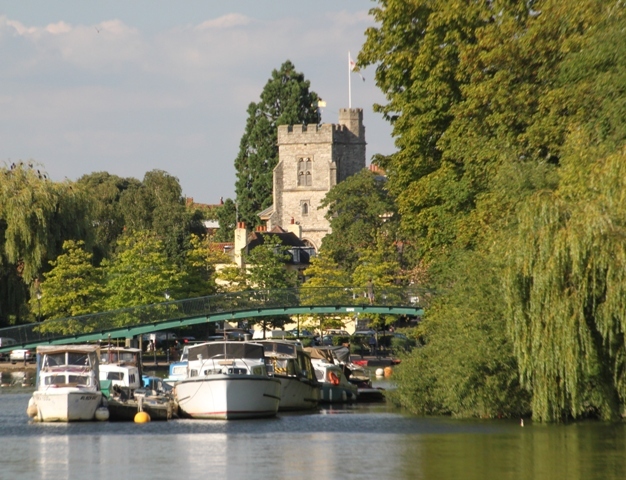 Plenty to do as well with heaps of history, lovely places to eat, fabulous shops plus leisurely riverside walks right on the doorstep, it was perfect for us. We actually didn’t get to explore enough and would most definitely go back. 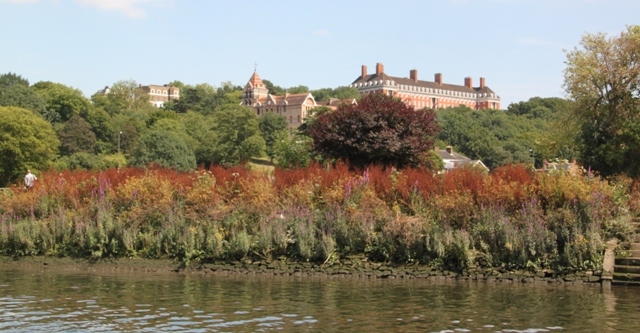 An added bonus too the sights of central London are less than half an hour away by train – Richmond ticks all the boxes. That boat trip was the first thing for us. 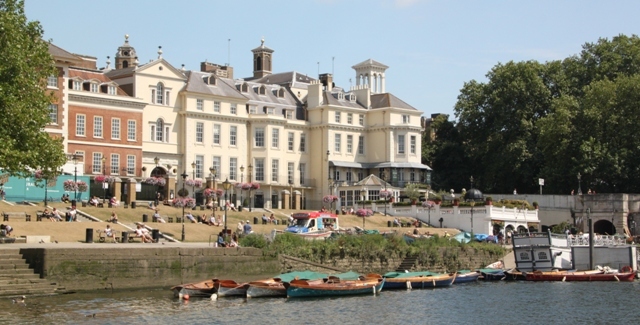 We easily made our way to the river from the centre of Richmond and found St Helena Pier at Richmond Bridge, departure point for our trip down the mighty Thames. Having discovered Turks Launches on Tripadvisor, we opted to use them for this expedition. Their boat was right outside the White Cross Pub, we thought we had arrived in plenty of time for the sailing but found a rather worringly lengthy queue. We did (just about) get onto the boat, no choice of seats though with only three left we took them gratefully. Our plan was to sail all the way to Hampton Court and back again, staying onboard for the hour and three quarter round trip. Most people seemed to disembark at Hampton Court or Kingston. Tickets were bought on board and I have to say, although we had to settle for the last three seats they were perfect. On the left side of the boat we had great views, better at the front for sure but with strong sun and not a pick of shade I would have been frazzled there in minutes. Our seats had a little shade and were steps from the on-board bar – win win as far as I was concerned. Beverages and snacks in hand we settled down to enjoy the views. A commentary on the way down river pointed out places of interest and was excellent. I did though enjoy the lack of commentary on the way back – the best of both worlds. 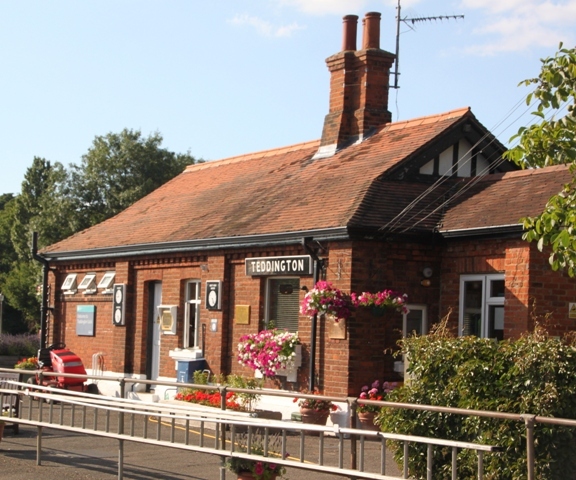 The first part of the journey down to Kingston was scenic, very relaxing and the perfect way to explore the river. We glided out of Richmond with stunning riverbank views. They pointed out Mick Jagger’s house on a hill – lots of huge mansions but not so sure which one belongs to him. 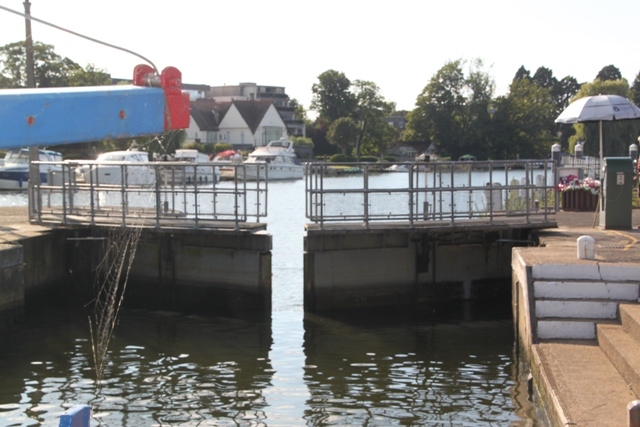 Passing through Teddington Lock was a highlight, on the way downriver the water levels were very different and it was quite the experience to watch the lock gates shut and feel our boat rise about six feet. Son was intrigued. On the way back the river levels were more equal, not so exciting but a chance to take in the lovely lock-keeper’s cottage and pretty views. 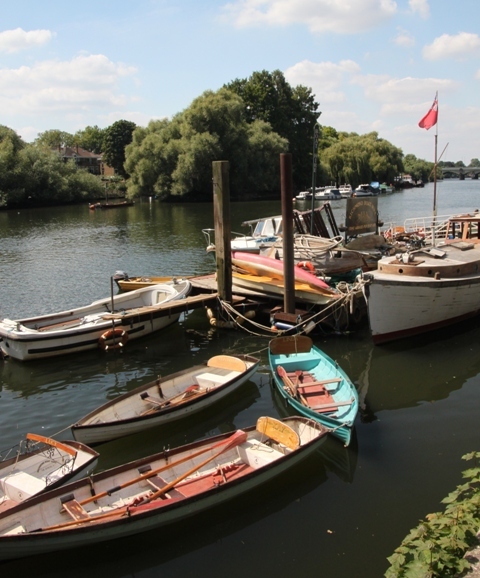 We got a peek at Eel Pie Island, an island on the Thames only reached by footbridge or boat. It was a major jazz and blues venue in the 1960’s and today has houses, boatyards and a few artists’ studios. No public access, it is private land unfortunately. 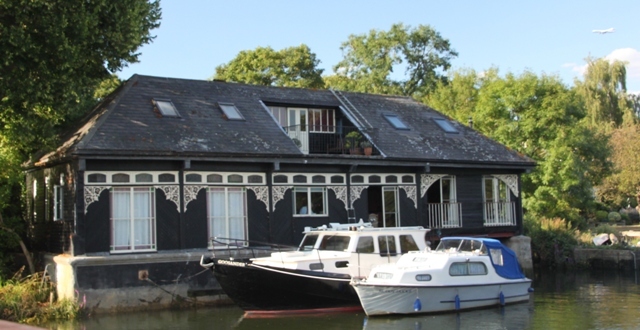 Pete Townsend used to own Eel Pie Studios here and lots of significant pop and rock recordings were made on the island. The houseboats were another highlight for me – some large, all incredibly quirky and parked at various points along the riverbank. 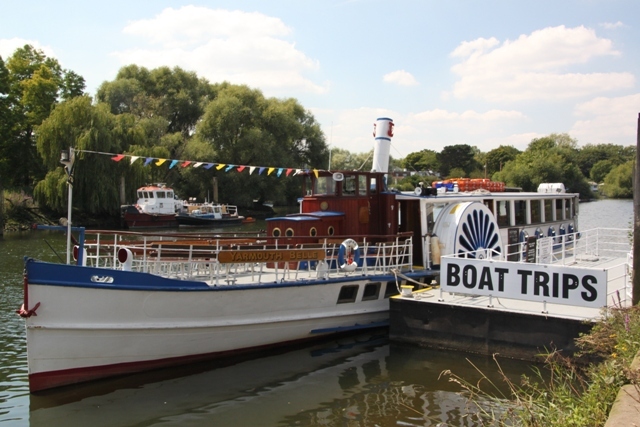 So many vessels of all shapes and sizes on the river too – it was completely fascinating. Houses were pointed out to us that cost around £650K (not very big) and some that cost millions (still not very big). 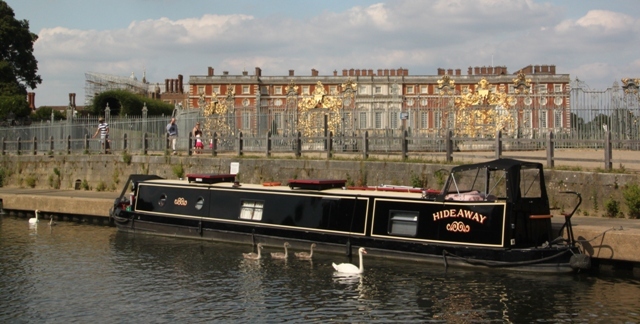 We had to change boats at Kingston for the stretch to Hampton Court. In hindsight I wouldn’t do this part unless it was to disembark at the palace. This part of the river is not so scenic and there is not so much going on, that said it is impressive to view Hampton Court from the river as Henry VIII once would have done. On our way back we had to get off at Kingston and wait half an hour for our next boat. Historically interesting, Saxon kings were once crowned here and we did briefly check out the ancient market square, however we were irresistibly drawn to the river and its banks. 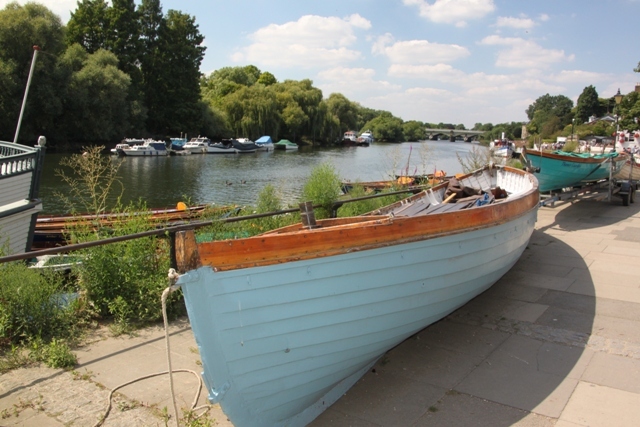 A sedate and peaceful ride back to Richmond – this was for sure the perfect way to see the Thames. It was a lot of fun and a really great way to spend a sunny afternoon. Yeah looks like it. Nice for some family getaway. Completely agree, we definitely saw everything in a new and refreshing way, plus it was a lot of fun and very relaxing!! Stockholm is someone that must be incredible to explore from a boat as well – would absolutely love to do that!! For some reason, this might be one of my favorite spots you’ve visited. It doesn’t have the hills and scenery but seems so peaceful and interesting. Aside from the history, the collection of houseboats were fascinating. Thanks again. Have a great weekend, Joy. Completely get where you’re coming from George, I absolutely loved this boat ride down the river, the sun shone which helped but there is so much to see and yes, those houseboats were my favourite!! Enjoy your weekend too George. Looks like an enjoyable trip and it appears you had fine weather as well. I haven’t been to Hampton Court so I think I would be in the group that got off there. It seems like an interesting way to get there. I’ve been to Windsor several times so it’s time to change it up a bit next time we get to London. The weather was glorious – always helps but never guaranteed in this country!! It is a lovely way to spend the afternoon, very relaxing and I was blown away by how much there was to see and just all that seemed to be going on along the river. We went to Hampton Court the next day which was also incredible – definitely recommend if and when you’re back in London. So maybe a post about Hampton Court is forthcoming? Yes – watch this space!! Have a great weekend. That looks like a fantastic trip on a glorious day. 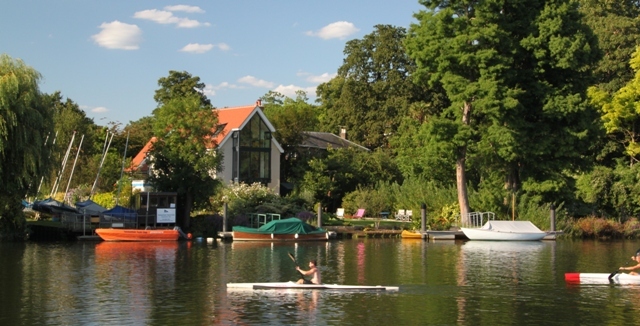 Even though we used to live in London’s commuter belt, I’ve never sailed the Thames. 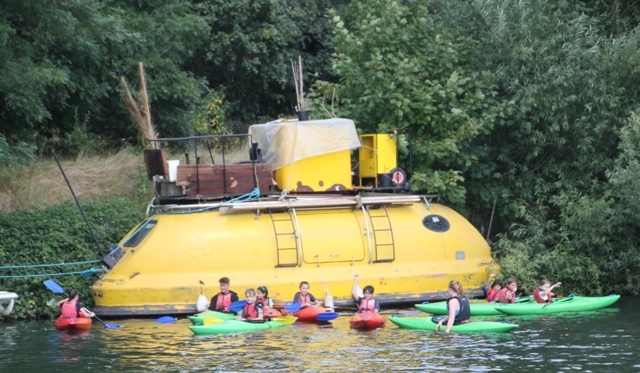 My in-laws used to own a narrowboat so they did the whole Thames thing and did say it provides a whole different perspective on the city and its outlying burghs. I have been to Hampton Court Palace and thoroughly enjoyed it. That was before we had kids so I would love to take my boys back there – and maybe cruise the river. The weather definitely helps Laura and we were blessed with wall to wall sunshine. The river cruise was fabulous – I loved every second, incredible what’s going on all along the river, there was so much to see and take in. We had the best day out at Hampton Court too – I was blown away by the inside and the gardens it was incredible. We loved this whole area Rosemary and the boat trip down the Thames was the icing on the cake. There is so much going on both on the river and on the banks, we were fascinated and I could have stayed on that boat for another couple of hours! I presume that is Heathrow too – not so sure I would want to pay huge amounts of money for those houses and have all those planes coming and going!! Hope your weekend is a great one as well! Yes you would be rather under the flight path! I think an enjoyable day out and river cruise is the way to go!! Oh my, that must have been a beautiful ride. Wonderful places, landscapes, and sceneries. Just gorgeous Erika – I could have stayed onboard for 2 more hours!! Have a nice weekend Joy ! We’d never thought about it either – now I don’t know why not, it was superb. Lovely views and so much to see plus with sunshine even better!! Those houseboats would probably be more than I could afford!!! The price of the houses on the banks of the Thames were mind blowing enough for sure. We can only dream…..
Hope your weekend is a fab one too, raining here at the moment but fingers crossed that changes! Enjoy!! They are forecasting sun for us too on Sunday, fingers crossed….. I never thought one could aail down the Thames! Sounds like so much fun, and seems the weather cooperated with you as well. 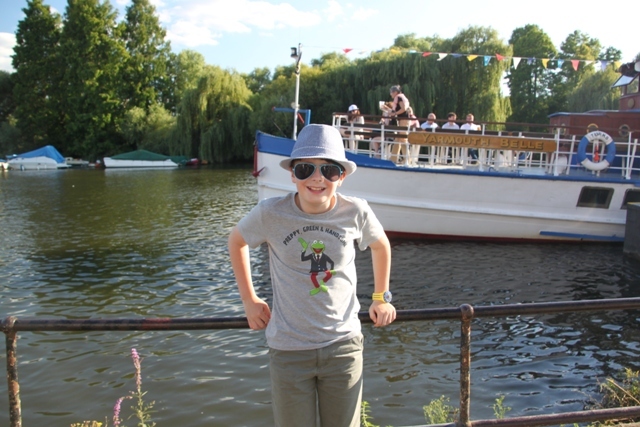 We had beautiful sunshine which definitely helped but it is a lot of fun to take a boat trip down the river! I met a former travel agent in a conference, and she said that in every new place she tries to (where possible, and mostly there is something for all three) go somewhere high up, on the water and go outside of the centre to get a good feel of a new city. I thought those three dimensions were pretty good for exploring a new place! There is something with water, a river ride would be great! That sounds like a great plan – I’m going to put that on my list too!! We do always tend to do the water thing where possible but definitely like the sound of high up and outside the centre – great tip!! Oh lovely Joy. Richmond is one of my favourite places, too. We don’t live far from Kingston or Hampton Court, so in the summer we often wander down the Thames path sometimes from as far as Putney. Lovely pics and glad you got the weather for it! That sounds like a perfect summer stroll to me – very jealous, what a lovely place to live. We got great weather and really loved exploring this part of London – up until now completely unknown to us. This certainly looks more relaxing compared to the jet boat ride along river Thames we did in London. I guess that one was more for the boys. Ooh you were brave (braver than me) – have always seen those speedy boat rides but never quite plucked up the courage!! Was it fun or horrible? This was very sedate and relaxing, a lot of fun but in a different way!! Maybe I’ll pluck up the courage one day….. I find from the water is the best way to view anywhere! It looks like a beautiful trip from Richmond to Kensingston. Completely agree – any place with a boat trip on offer we tend to take it up!! This was simply stunning, amazing just how much there was to see and watch on the river and lovely scenery as well. 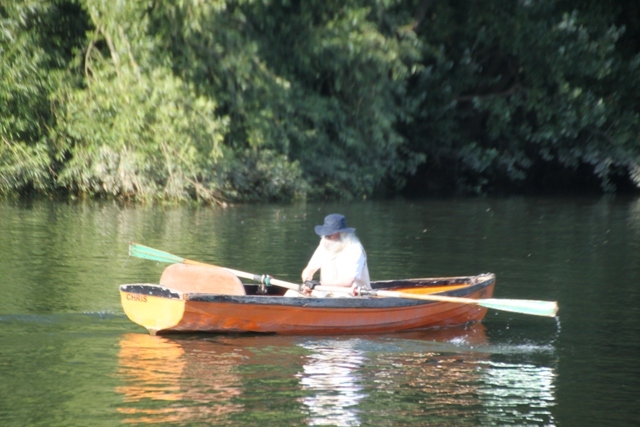 It was such a lovely day out Diana – chilling on the River Thames in the sunshine – just perfect! This is such a wonderful way to see the sights. I love this, next time we are in the London area I will definitely do this. 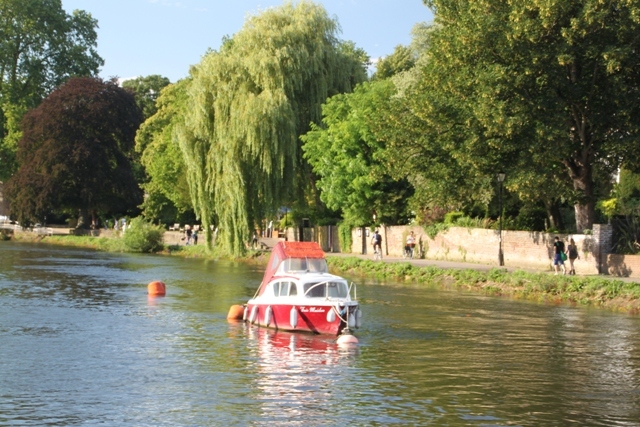 It is loads of fun and plenty to see long the river so never a dull moment, gorgeous scenery too!! I’m with you on the house price thing too Jenny, a cheaper place and a walk or drive to the water definitely works for me!! 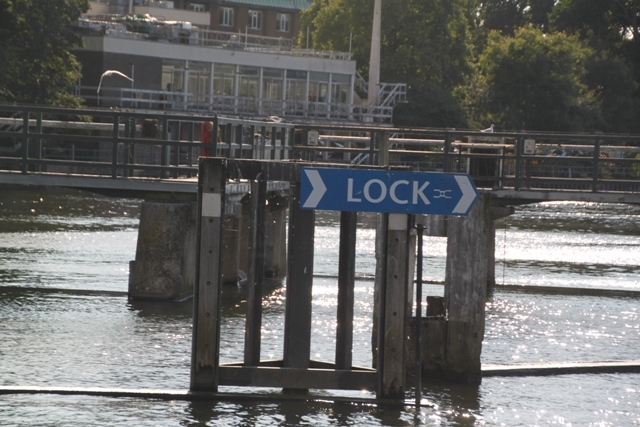 I loved the Thames – so much to see and some beautiful scenery too. Sounds like the stretch you saw was also great – good shopping is always a hit for me too!! Definitely – the most therapeutic thing ever!! Your wife is right!! can you please gave me the link to your post about narviK? Sorry – not me 😦 – never been there (unfortunately!!). I guess you’re going, looking forward to reading about it! What a wonderful set of beautiful photos. My favorite one is the rowing boat. 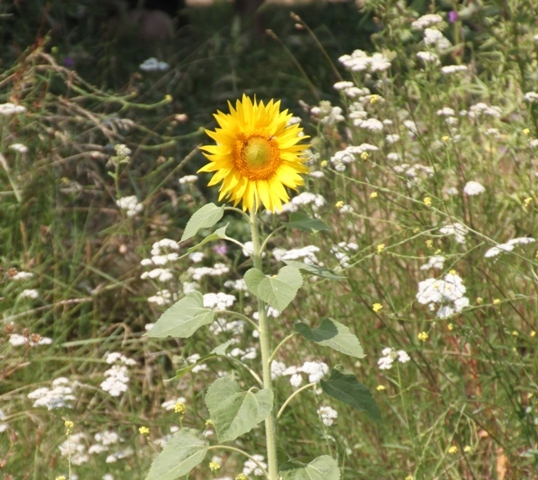 Thank you – it was a gloriously bright and sunny day which always helps with photos. That rowing boat was a beauty, I agree! It was lots of fun and really scenic – the perfect boat trip! I love this, thank you. Lived beside the Thames for many years, learned to swim in it. Sounds like a great plan John! !